Hand Towel and Flannel set with embroidered personalisation. Your choice of towel colour, embroidery thread colour and font style. 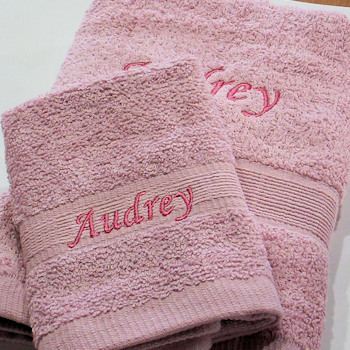 A name will be custom embroidered onto the hand towel and face cloth to match. 100% Egyptian cotton hand towel and face cloth.